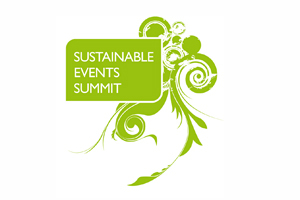 The Sustainable Events Summit will take place at the Barbican in June. The fourth annual event will be held on 13 June with a new round-table format offering delegates a chance to exchange views on sustainable development and share best practice. Jack Morton Worldwide senior producer Emma Fitzgerald, Eco Action Partnership director Juliet Ross-Kelly and Red or Dead founder Wayne Hemingway have been named as speakers at the event. The conference, organised by Seventeen Events, is themed ‘the roadmap towards a more sustainable events industry’. London Leader and Seventeen Events managing director Andrew Williams said: "We are now in the run up to the London 2012 Olympics. The past five years have seen the events industry do a lot of talking about sustainability and greener meetings, but how much of this is translating into action? This is an opportunity for debate, but most importantly a commitment to action." Subsidised places are being offered to event management students.